Thanks to injuries that limited Furcal to just 428 plate appearances, his superlative season probably won’t get too much credit. 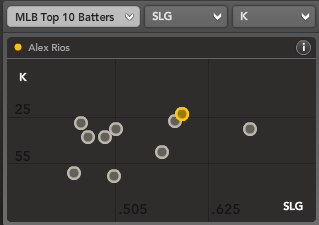 However, according to Fangraphs’ value chart, Furcal finished the season as the team’s most valuable position player, and the shortstop does get some credit in our book for doing extremely well in limited time in a year where production at shortstop was quite meager. Furcal bounced back from a subpar 2009 of just 9 HR, 12 SB, and a .269 AVG to put up 8 HR, 22 SB, and a .286 AVG in 2010. Most fantasy owners would gladly take 28 HR and 19 SB from one of their players. But expectations were much higher for this first-round pick. What’s disappointing about Kemp’s season was the step backwards he made at the plate. His batting average dropped from .297 in 2009 to just .249 in 2010. The struggles led to some bench time late in the season. When Kemp reached base, he struggled there was well, getting caught stealing 15 times in 34 attempts, which – along with being relegated to the bottom of the lineup for a big chunk of the season – contributed to his subpar runs scored total. No batter on the team is a lock to outperform their price tag in keeper leagues. Mostly, it depends on the format of the keeper league. 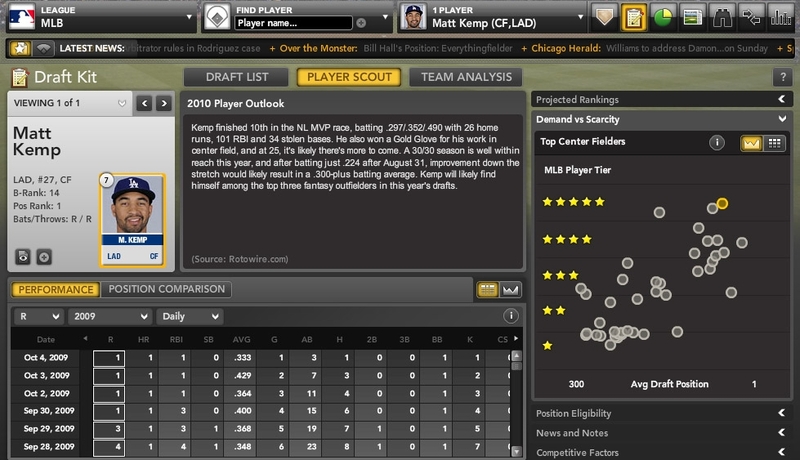 In those leagues where owners can protect players regardless of price, Matt Kemp will still likely be a player who is Top 50. 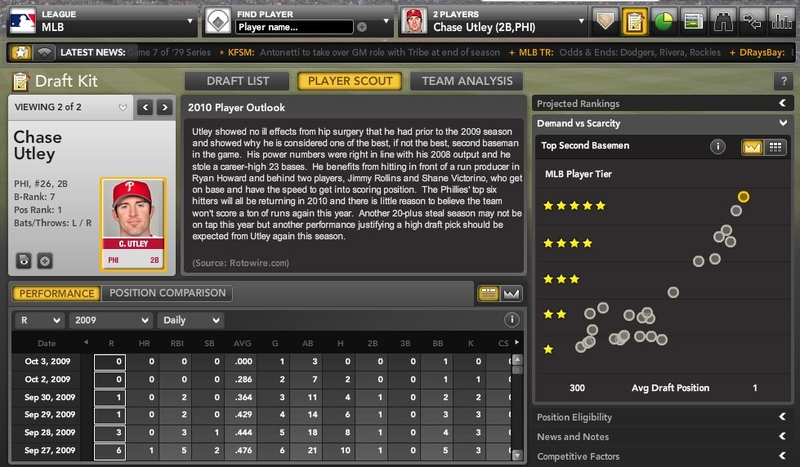 In leagues where you can get a salary bargain based on previous year’s stats, Rafael Furcal is probably the best bet – although he’s getting up there in age and is injury-prone. Ethier was fantastic at the start of the season, blasting 11 HR and hitting nearly .400 during the season’s first six weeks. Then, Ethier suffered a fractured bone at the end of his right pinkie, missed time, and when he returned, was never quite the same. His average dropped like a rock and the power went missing. Assuming he’s fully healthy next season, expect much better results for Ethier. 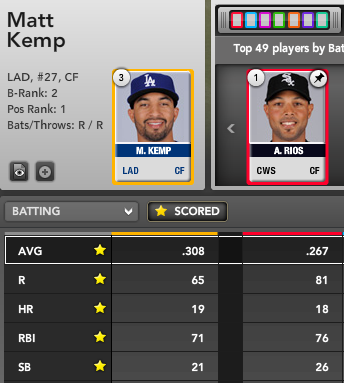 For more on Dodgers batters, check out Bloomberg Sports’ Fantasy Tools.